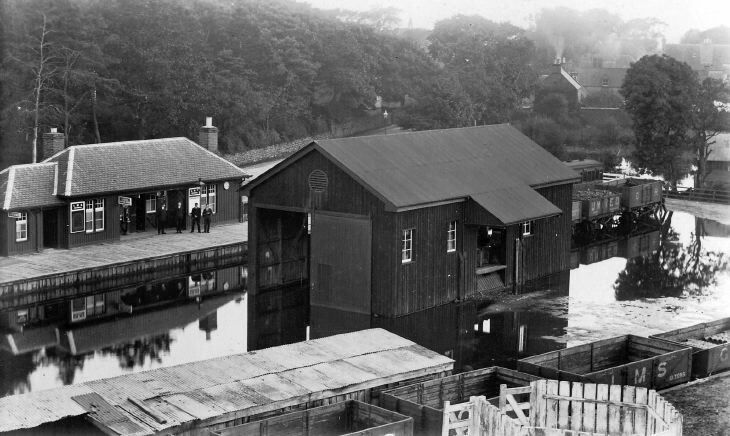 Photograph (plus copy) of Dornoch Railway Station flooded. Given to Henry Rowe by Dr John Macleod in 1975. In the foreground, can anyone tell me what the low shed behind the open wagons was used for? is Henry Rowe still about as I have not seen him for over a year?